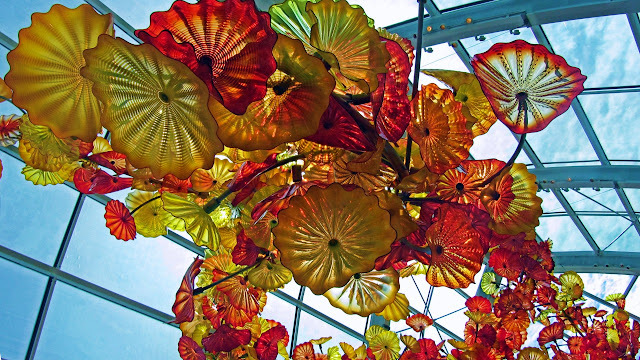 At the base of the Space Needle, you'll find Seattle's Chihuly Garden and Glass, a museum that features the works of glass artist Dale Chihuly. You can read more about him here. The pieces on display are visually striking... all fluid shapes and vivid colours. 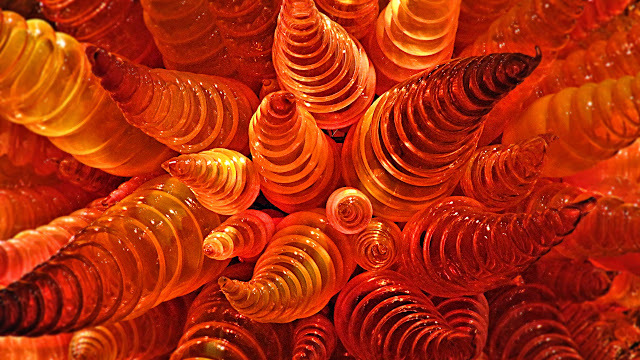 I cannot even begin to imagine how these works were conceived, or the processes required to bring them to life. It's well worth visiting if you get the chance.